Locals and Colombia tourism operators are furious after finding out the subsidiary of a US oil company is allowed to explore fracking possibilities near the springs of the Caño Cristales river, one of the country’s most unique ecosystems. The controversy broke after the mayor of La Macarena, a municipality in the center of Colombia, said that the country’s environmental authority allowed oil company Hupecol to carry out exploratory fracking activities near the Serrania de la Macarena National Park. It’s in this park where three rivers come together to form the Caño Cristales river. 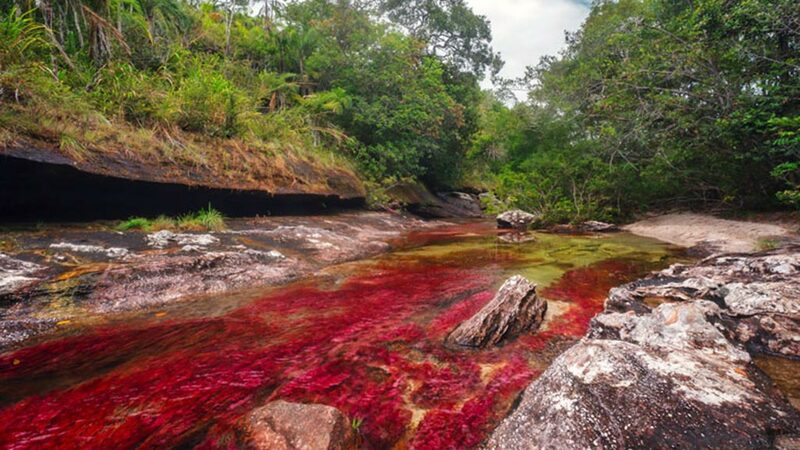 The Caño Cristales is known as the “river of five colors” due to the combination of the vivid red and green flora and the deep gold, black, and olive green of the riverbed. 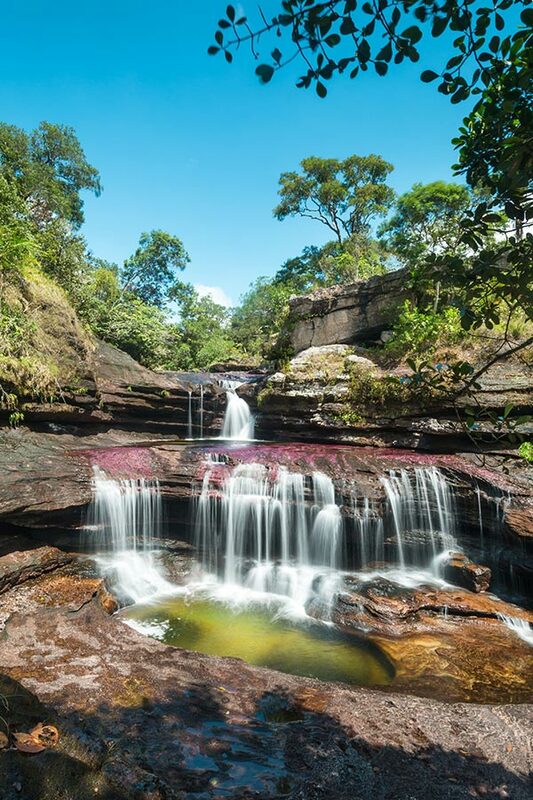 While one of the country’s most beautiful rivers, the Caño Cristales is also unique because it lies on the frontier of the Andes mountain range, the Amazon forest and Colombia’s eastern plains. 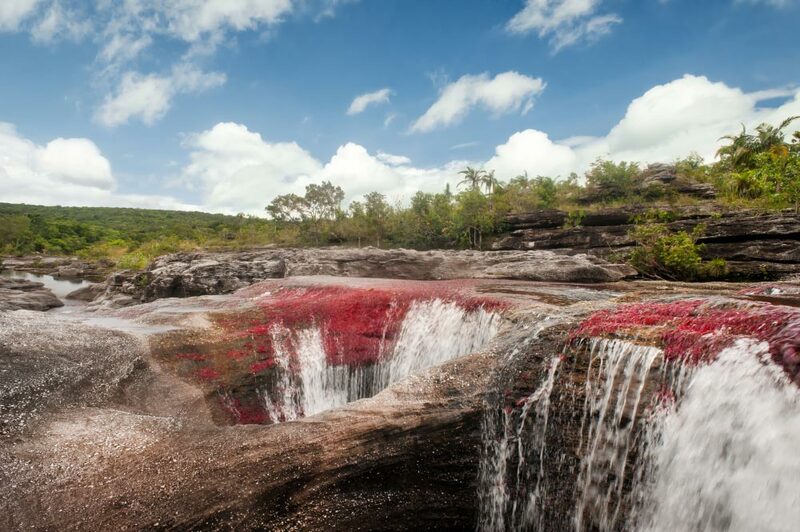 “Caño Cristales is a world famous destination of outstanding natural beauty. With increased security over the years, tourism to the area has grown and La Macarena village has developed it’s own tourism industry which is an invaluable source of income for the local guides and hotels that we work with,” tourism operator Mark Genney told Colombia Reports. The area was virtually inaccessible for years because of the country’s armed conflict, but was reopened up for the public in 2009 after which locals slowly began receiving visitors. “We in the Macarena have been preparing for 15 years to become a tourist and ecological zone,” Mayor Ismael Medellin told Caracol Radio. While considered virtually a natural wonder, the Macarena municipality is also full of oil, Colombia’s most important export products and one of the country’s primary recipients of foreign investment. It’s this foreign investment that is now clashing with the locals’ economy and environment. 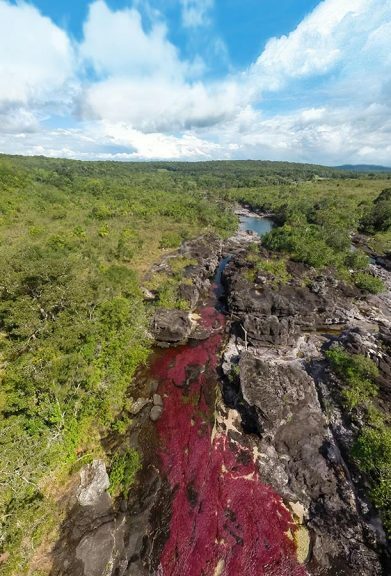 According to the mayor, Hupecol wants to drill 150 exploration holes near the springs of the Duda, Guayabero and Lozada rivers that join to form the Caño Cristales river. The area’s inhabitants are so sensitive about the natural treasure in their backyard that only limited amounts of tourists are allowed to visit the river per day and even littering is strictly prohibited. A tourist who comes to La Macarena is not even allowed to use sunblock because it pollutes, and now they give a license to a foreign company to drill 150 holes in the area. That is unacceptable. The news that environmental authority ANLA had granted permission for fracking activities in the area were received with shock, not just by the locals, but also ecotourism operators who slowly have been able to bring tourists to one of Colombia’s most beautiful sites. Who would want to frack in such a beautiful place? In spite of major concerns over the environmental impact of fracking, Colombia allowed he controversial practice in 2014. According to the National Government, Colombia can not afford to prohibit fracking after, partly because of an increase in global fracking operations, oil prices began to drop and the national budget came under pressure. Hupecol is one of the first companies to explore the newly made available oil fields. According to economic website BNamericas, Hupecol is a daughter company of Dan A. Hughes Company from Beeville, TX, that claims to be active in oil exploitation in Colombia since 1996. 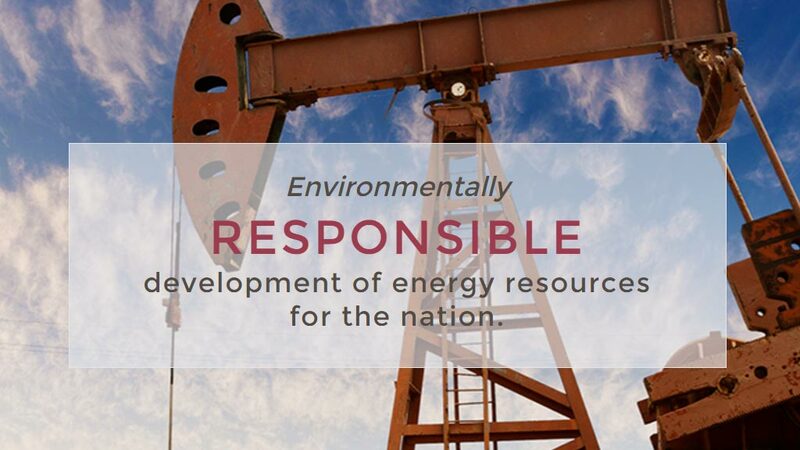 However, the pro-environment marketing of the company was met with scorn in Colombia. “They should get their act together and invest in alternative fuel. We have the knowledge and technology, but unfortunately not the common sense,” ecotourism operator Peter Doede said. Another ecotourism operator, The Colombian Project, announced an online petition to ask President Juan Manuel Santos to step in and revoke the licence. Those interested in supporting this initiative can do so here.